Roy Halladay has chimed in on whether Barry Bonds or Roger Clemens should be eligible for MLB Hall of Fame. 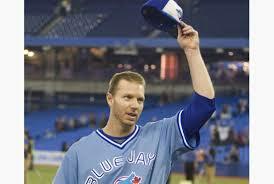 Halladay via Twitter, "When you use PEDs you admit your not good enough to compete fairly! Our nations past time should have higher standards! No Clemens no Bonds!"